Amiblu NC Line pipes with their non-circular cross-sections are ideal for relining old city sewers, culverts and channels that often hold non-circular shapes. The non-circular profiles are manufactured in a discontinuous process by helical filament winding. They can be customized according to customer demands and easily be adapted to different types of shapes and geometries. The remaining annular space between the host and liner pipes is usually filled with grout. This fixes the inserted pipe in its position and can take over the structural load. Amiblu NC Line makes it possible to extend the service life of old and deteriorated non-circular channels up to 150 years. The bending strength of Amiblu NC Line provides new firmness to uphold deteriorating pipe walls. It withstands acidic fluids and environments better due to its special inner surface. Amiblu NC Line has a sewer laminate composition that makes it excellent for use in open trench applications, such as culverts and extensions to existing non-circular channels. Amiblu NC Line adheres fully to ISO 16611. The ISO 16611: 2017 sets strict guidelines for how non-circular pipes can be produced and tested. External bodies confirm Amiblu compliance. 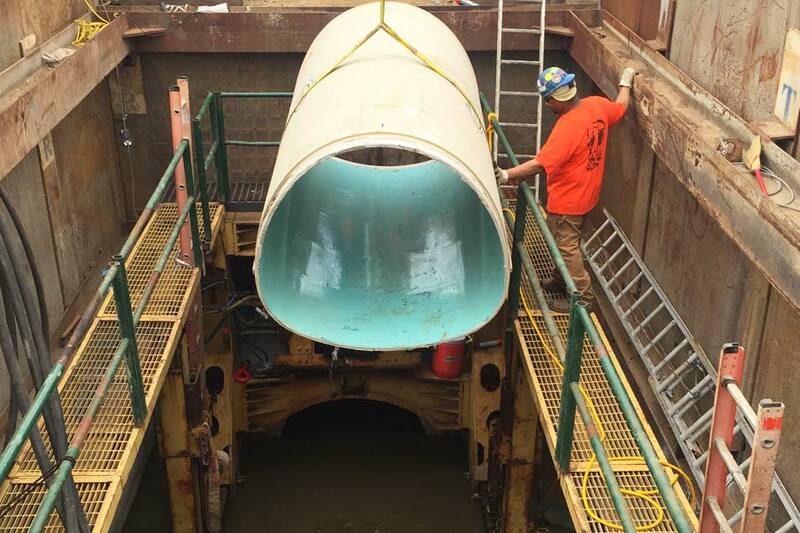 The egg shape profile is ideal for combined sewer systems. The narrow profile in the lower section of the pipe ensures a good water flow for sewage, while the upper and wider section handles heavy rain. The mouth profile is ideal for culverts under the road, to collect streams and small rivers. The shape allows for inspection by personnel. The arch profile is ideal for culverts under the road, to collect streams and small rivers. The shape allows for inspection by personnel.